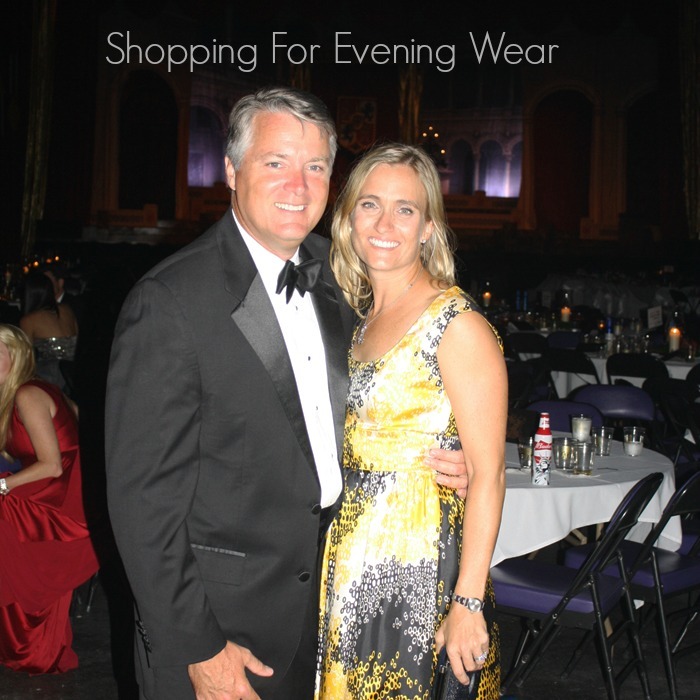 With Mardi Gras in full swing, Traci and I have had formal wear on the brain, and trust me, we know that shopping for an evening gown for a formal event is often a daunting task. You want something that fits well and is beautiful and memorable without breaking the bank. Also, if you're like I am, you want to know that you're going to get more than once wear out of your investment, so the dress needs to be special without being so unique that you're not the only one at the ball who remembers the last time you wore it. Here in Pensacola we have two seasons where we need formal wear. Right now it is Mardi Gras, and even though this is Florida, it is still winter and it is cold. The other time of year is in June for a celebration we call "Fiesta." By then, it will be hot, hot, hot! When buying something new, my challenge is always whether or not I can make something work for either occasion. Trust me, it can be a challenge, but a fun one! I am a big believer that you can never go wrong with a black dress. If you are afraid that black is too boring, look for one with an interesting feature such as the high-low gown or the one-shoulder dress below. Although they are plain black, the hemline and the shoulder details makes them unique. Another trick is to find a great ball-gown skirt that you can pair with different tops for different seasons. For example, the black and white skirt below would look great with a black cashmere sweater and a beaded belt in the winter time, and it will look just as good in the summer with a black camisole or cropped top. This may sound strange, but beware of the "unforgettable" dress! It can be really tempting to go for the statement, but sometimes the statement is so big that once it's made, you don't want to make it again. My advice would be to let your accessories spice up the ensemble! A shoe, a belt or a necklace can totally transform a look. If you are looking for a good deal try sites like The Outnet (an outlet site run by Net-a-Porter) where you can find high-end designer dresses for up to 60% off retail, or consignment sites such as The Real Real, Tradesy or Poshmark. Some of the best deals are on consignment sites since a lot of girls don't want to don their formal wear more than once. Also, you can often find items labeled "NWT" (new with tags), and they are usually a steal. Of course, these sites work both ways, so if you have that "statement" dress still hanging in your closet, you can pass it along and pick up some extra cash in the process. Last, but not least, try renting! 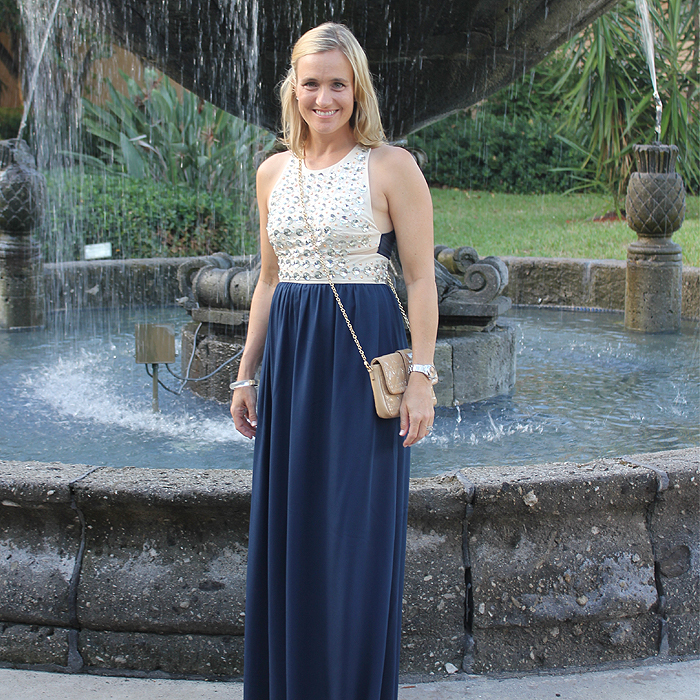 Rent The Runway is just that...runway looks that you can rent for a big event. You can get the hottest styles for less money, but you have to return them. Hands down I like the last dress best! And needless to say, you look gorgeous! Loving your looks. These are definitely great for formal wear!